Cake Art Creations By Jane in Athens, AL, offers delectable cakes that are made with the freshest ingredients and a keen eye for detail. 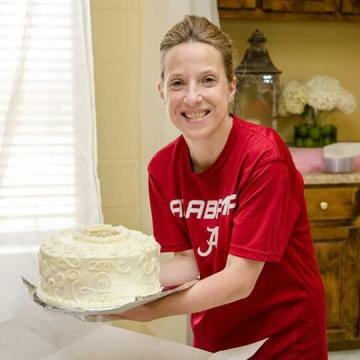 In her full-service bakery, Jane loves to design and create specialty cakes for any occasion. For 29 years, her passion is to create custom made pies, muffins, cookies, cake in a jar, bread, and more. 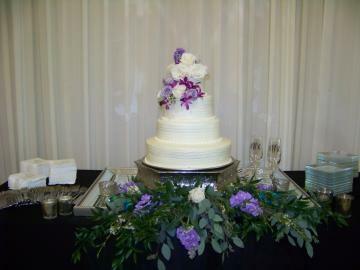 Her customers are important to Jane, and her goal is to provide highest quality cake with careful attention to detail. If a customer is not 100% satisfied, she will provide a money refund! See your vision comes to life by choosing Jane for your bakery product needs. Jane loves her work, and she designs most of her cakes herself; draws out her patterns free-hand. You will always get your money back if you are not satisfied. Cake can be a special part of any occasion from wedding to birthday cake - Jane makes a dazzling display of cakes and treats everyday from scratch.